This spacious two room suite offers a private bedroom with 1 bed as well as a living room with a queen size sleep sofa and flat screen tv. The fully equipped kitchenette offers a full-size refrigerator, two burner stove top, microwave, dishwasher and Keurig coffee maker. This suite offers free Comcast Fiber High Speed Internet. No View or Balcony. Located on floors 2 through 5. Sleeps upto 4 people max. 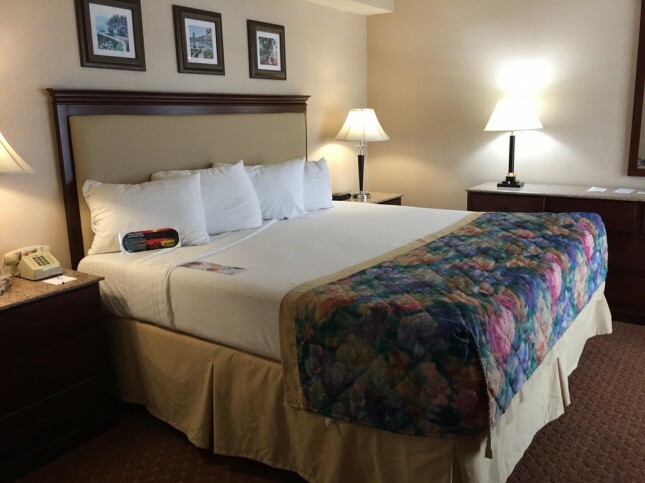 This spacious two room suite offers a private bedroom with 1 King size tempur-pedic bed as well as a living room with a queen size sleep sofa and flat screen tv. The fully equipped kitchenette offers a full-size refrigerator, two burner stove top, microwave, dishwasher and Keurig coffee maker. 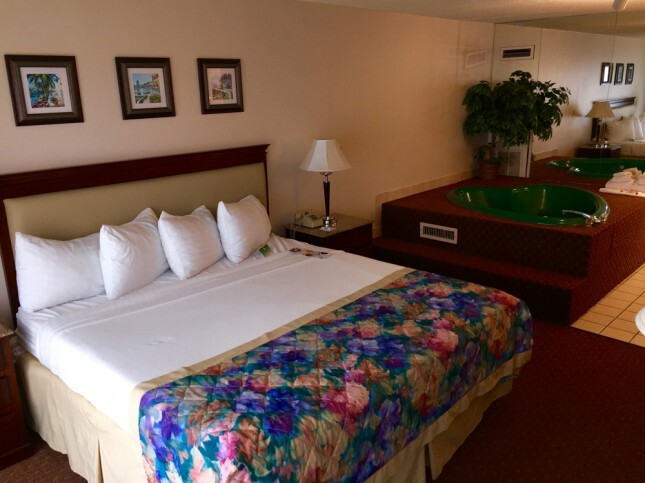 This suite offers free Comcast Fiber High Speed Internet as well as a private balcony. Located on floors 2 through 5. Sleeps upto 4 people max. 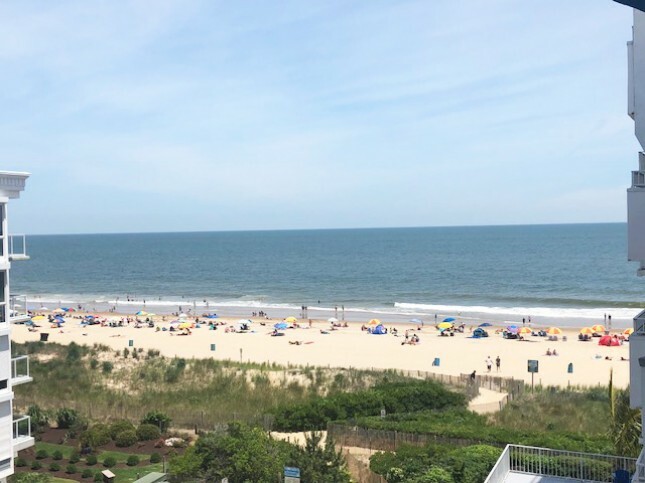 This 2 bedroom 2 bathroom Ocean Front condominium features 2 private bedrooms as well as a fully equipped kitchen, living room, dining room and washer/dryer. 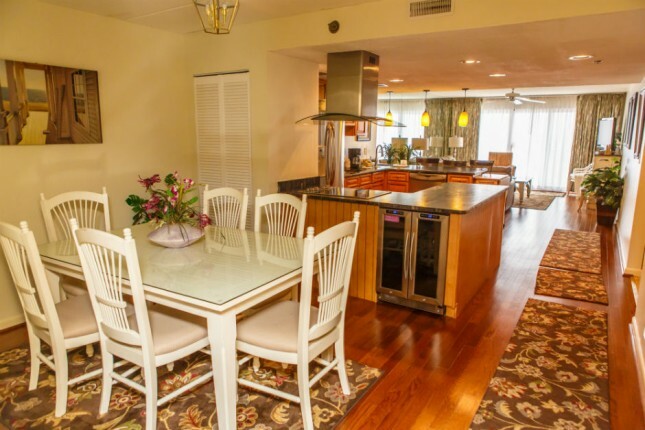 This condominium offers free Comcast Fiber High Speed Internet as well as a private Ocean Front Center Balcony. Located on Floors 6 through 10. Sleeps upto 8. Bedding Types Vary by Condo. 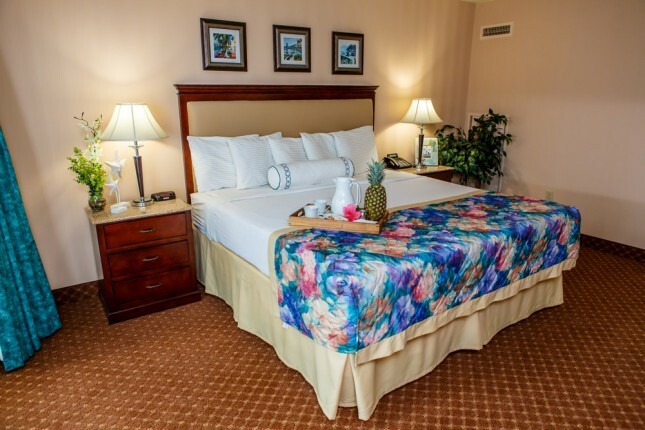 This spacious two room suite offers a private bedroom with 1 King size tempur-pedic bed as well as a living room with a queen size sleep sofa and flat screen tv. The fully equipped kitchenette offers a full-size refrigerator, two burner stove top, microwave, dishwasher and Keurig coffee maker. 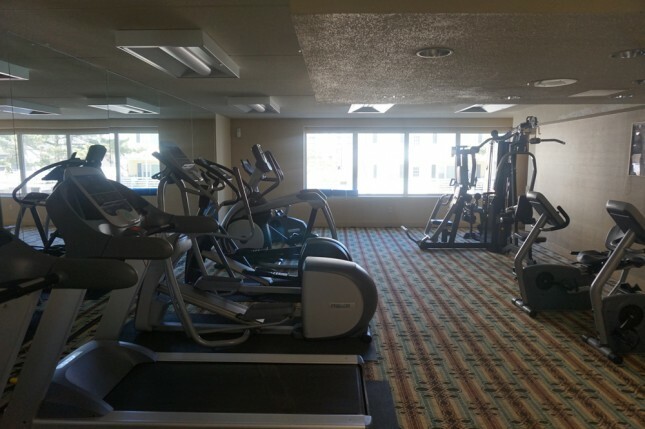 This suite offers free Comcast Fiber High Speed Internet. NO BALCONY Located on floors 3 through 5. Sleeps upto 4 people max. 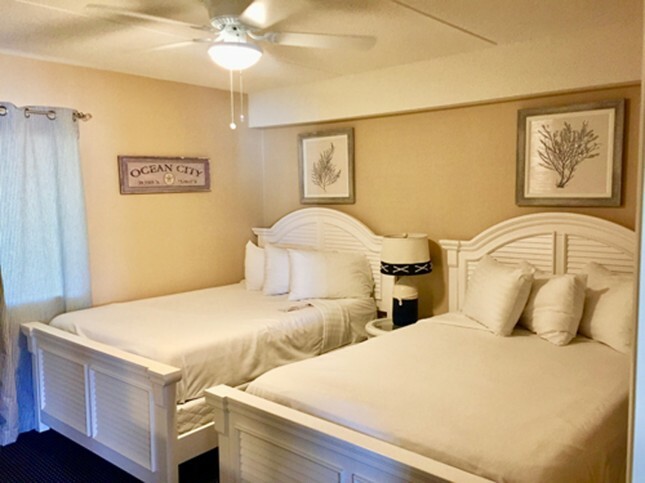 Oceanfront room with 1 king bed and double sleep sofa sleeping max of 4 people; small privacy half wall separates the two. 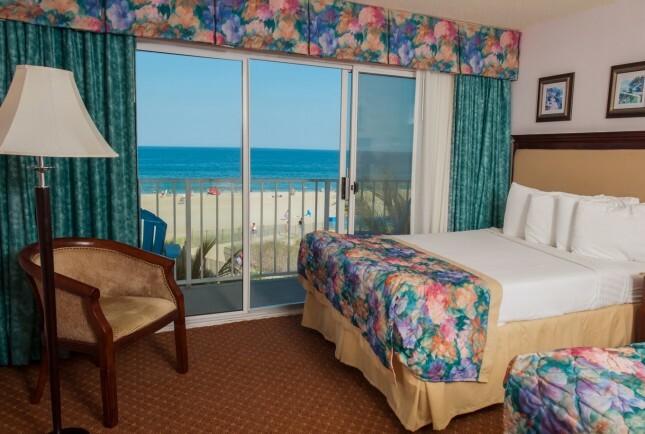 These are rooms; not two room suites -Oceanfront room with corner/side balcony on floors 2-5. -Full kitchenette includes full size fridge w/ice maker, microwave, 2 burner cook top, coffee maker, dishwasher, iron w/board, hair dryer etc. 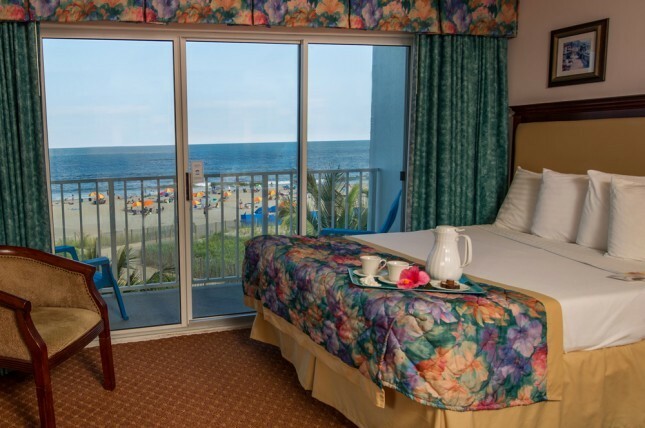 Beach level room with 1 king bed sleeps a max of 2 people -Small refrigerator and microwave. Located on the ground level near the Gazebo Bar. Gazebo Bar may be open til 10pm nightly (IN SEASON). 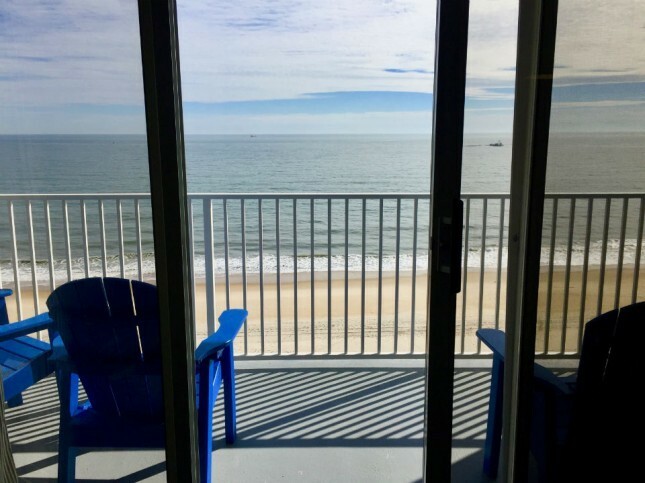 This 2 bedroom 2 bathroom Ocean Front condominium features 2 private bedrooms as well as a fully equipped kitchen, living room, dining room and washer/dryer. 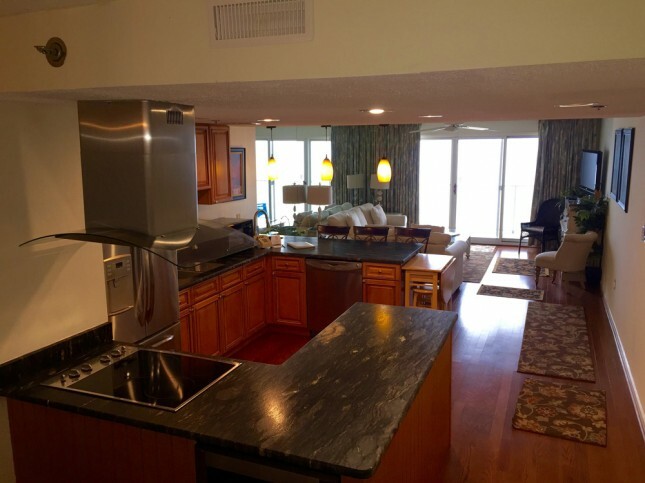 This condominium offers free Comcast Fiber High Speed Internet as well as a private Ocean Front Corner Balcony. Located on Floors 6 through 10. Sleeps upto 8. Bedding Types Vary by Condo. 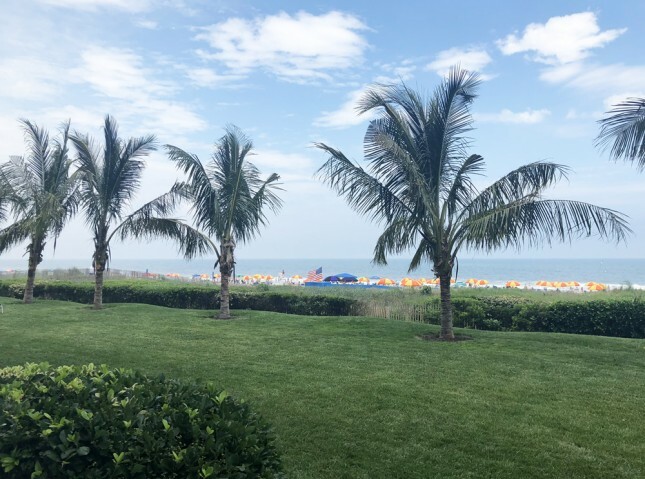 This 3 bedroom 3 bathroom Ocean Front condominium features 3 private bedrooms as well as a fully equipped kitchen, living room, dining room and washer dryer. 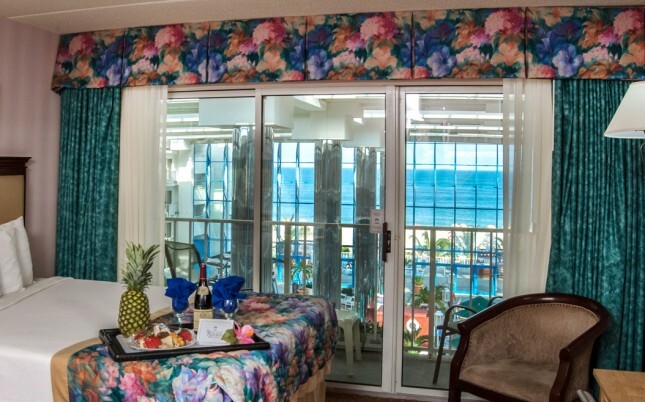 This condominium offers free Comcast Fiber High Speed Internet as well as a private Ocean Front Balcony. Located on Floors 6 through 10. Sleeps upto 10. Bedding Types Vary by Condo. Located on the white sandy beaches of Ocean City Maryland, we offer a variety of accommodations from spacious two room suites with fully equipped kitchenettes directly overlooking the beautiful Atlantic Ocean, to suites overlooking our indoor heated swimming pool, hot tubs, saunas and four-story glass oceanfront tropical atrium.We also offer two and three bedroom oceanfront condominiums making the Princess Royale ideal for family vacations, romantic getaways and business travellers. •	All rates are based on availability, subject to change and do not include taxes or gratuities. 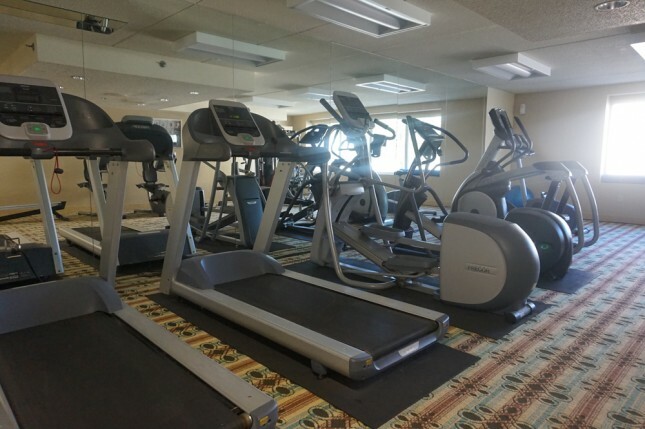 •	Check-in after 4:00pm; Check-out before 11:00am. 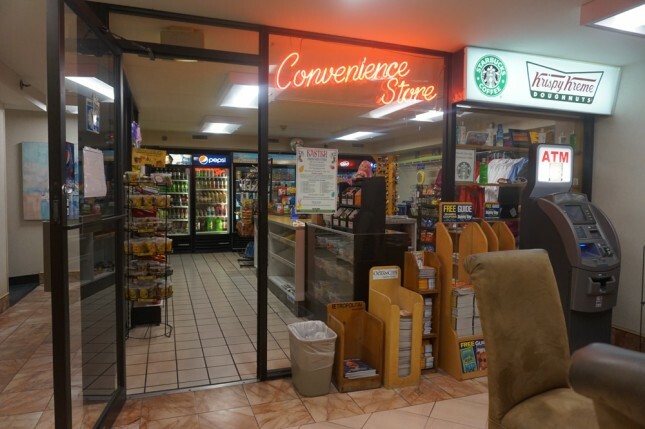 Any checkout after 11:00am will result in additional charges. Rooms are not guaranteed until after 4:00pm. •	Specific room types, bedding and special requests including to be near other parties may be requested but are not guaranteed. Specific suite numbers as well as suite types & bedding requests cannot be guaranteed. Every attempt will be made to honor these special requests. In the event that the specified room type is not available, the next available room type will be assigned. •	All suites are equipped with an electronic safe for your protection. A nominal fee of $1.50 per day will be automatically charged to your bill regardless of use. 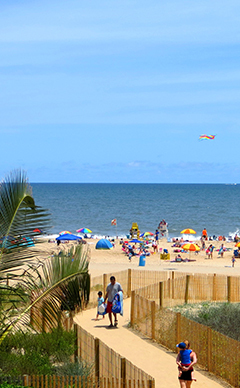 •	Resort Fee: A non-refundable, nightly resort fee of $6.95 plus applicable taxes will be added to all reservations. •	Deposits: A deposit is required when making a reservation. If your deposit has not been received, reservation is subject to automatic cancellation. 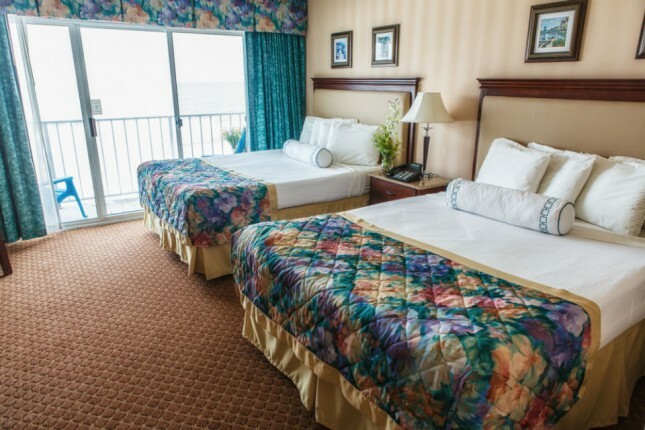 •	Suites: All reservations require a one night’s payment in advance as an advance deposit. No personal checks. Credit cards used to guarantee the reservations are charged at the time the reservation is made for the required deposit. Balance is due upon arrival. Must present credit card used for advance deposit upon check-in. No personal checks for payment of balance. •	Condos: All July and August, 2 & 3-bedroom condo reservations must be paid in full 30 days prior to arrival date. The first night’s rate plus taxes is charged at the time of reservation. 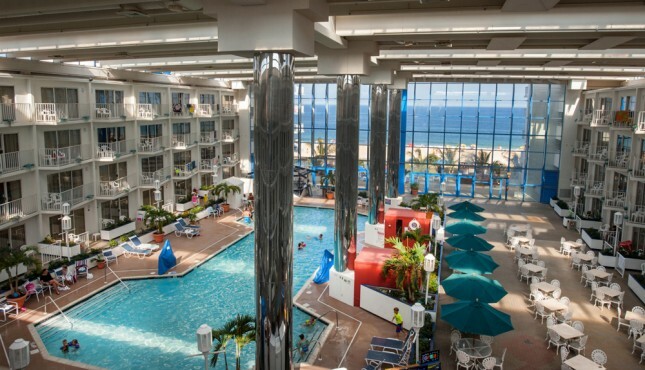 There is a $100 cancellation fee if cancelled more than 30 days prior to arrival and no refund if cancelled less than 30 days prior to arrival. The Princess Royale does not accept pets, however service dogs are welcome. A service dog is trained to do work or perform tasks for the benefit of an individual with a disability. Emotional support animals, comfort animals, and therapy dogs are not service animals under Title II and Title III of the ADA. o	30 days’ notice for any one or two-bedroom condo reservation for July and August. •	Cots and pack’n’plays are $15 per night, subject to availability. •	Covered parking is available at no charge. Valet Parking available in July & August for $19.95 per day.